"Act I - Scene I: Introduction"
"Act I - Scene II: Project Overview"
"Act II - Scene I: Dancing with PNREAP"
"Act II - Scene II: BEA Regional Outreach - Building New Alliances"
"Act III - Scene I: Step Right up Folks!" "Act III - Scene II: Q & A - Would REAP be Right for Your AUBER Center?" "An Overview of the Mississippi Regional Economic Analysis Project"
"Income Side of the Coin"
"An Overview of the BEA Regional Accounts"
"Act I - Scene I: Here is a Turnkey Project for Your AUBER Center!" "Dancing with PNREAP: A Live Demo on the Web"
"Outreach in BEA's Strategic Plan: How Partnering with PNREAP and...."
"How do You Deliver Local Area Economic Analysis for 57 Counties...."
"Local Area Economic Analysis - Improving the Conversation...."
"Running & Gunning with PNREAP in the Pacific Northwest"
"Would this Project Be Right for Your AUBER Center?" "Viewing the Washington Economy in a Regional and National Context"
"What's Behind the Regional Personal Income Statistics, and What Lies Ahead"
"An Overview of the Montana Regional Economic Analysis Project Website"
"An Overview of the Nevada Regional Economic Analysis Project Website"
"BEA Overview of the Regional Accounts"
"What's Behind the Regional Personal Income Statistics?" "What Lies Ahead for the Regional Accounts?" "Trends Analysis -- Nevada Counties"
Welcome to the Regional Economic Analysis Project (REAP) home page, an organization of regional websites designed to foster and further sound regional economic research, analysis, education, outreach and decision-making. To Start Your Research and Investigation: Select from the available regions below or from the menu above to compare and contrast results. REAP focuses on bringing regional economic analysis awareness, techniques, and methodologies to local and regional communities across the United States. 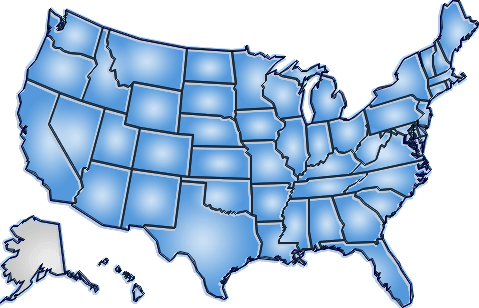 Using data compiled by the Regional Income Division and Regional Product Division of the Bureau of Economic Analysis (BEA), our websites provide data tables and detailed analysis of the trends and composition of the major economic indicators available for counties, states, and regions across the nation. REAP also exclusively produces and packages data and analysis for additional regional configurations not available directly from BEA. Annual and quarterly data are available, spanning up to 90 years -- from 1929 to 2018. The REAP websites have been developed, operated, and are maintained by the Pacific Northwest Regional Economic Analysis Project (PNREAP) located in the state of Washington. PNREAP is a not-for-profit 501(c)(3) corporation organized explicitly to foster and further sound regional economic research, analysis, education, outreach and decision-making. Why are some regions not available or abridged? 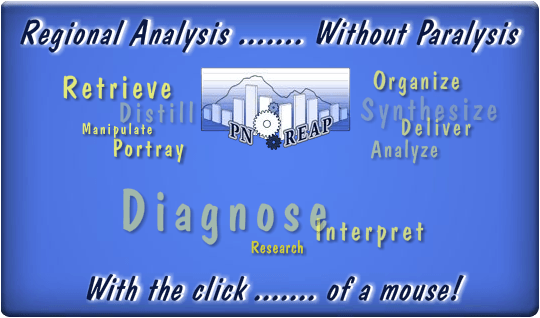 To provide and maintain regional analysis for specific regions PNREAP seeks the partnership and support of local economic and business research centers in collaboration with additional corporate sponsorship. Interested in becoming a Host or Sponsor? Take a look at our Host FAQ's and contact the PNREAP Director, Dr. Smith, with any additional questions.